Subtle styling. Wonderful 2.5-litre engine. Smooth and intelligent gear changes from seven-speed S tronic gearbox. Upgraded to 400PS from summer 2017. Not cheap at £40k. Optional extras significantly increase the price. Steering could be better. 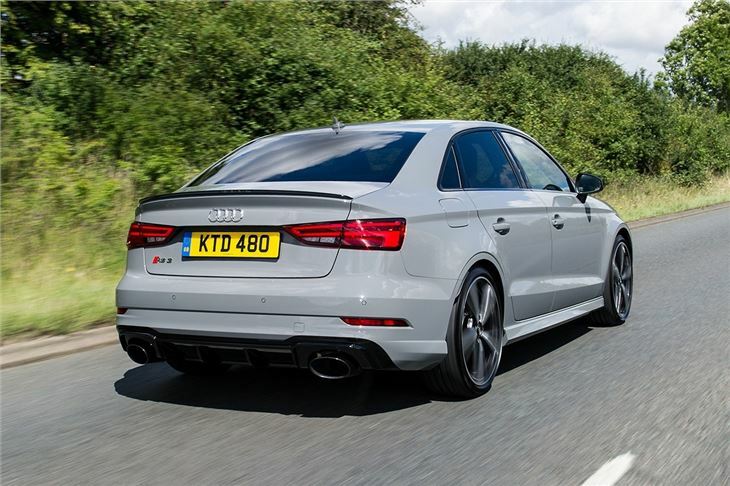 With no less than 400PS, 480Nm of torque, a wonderful five-cylinder soundtrack and incredible levels of traction thanks to its quattro all-wheel drive system, the Audi RS3 is a seriously impressive performance car. But for the price, it ought to be. Updated from mid-2017, the RS3 is available as both a five-door Sportback and four-door saloon, with power and torque up over the earlier car. 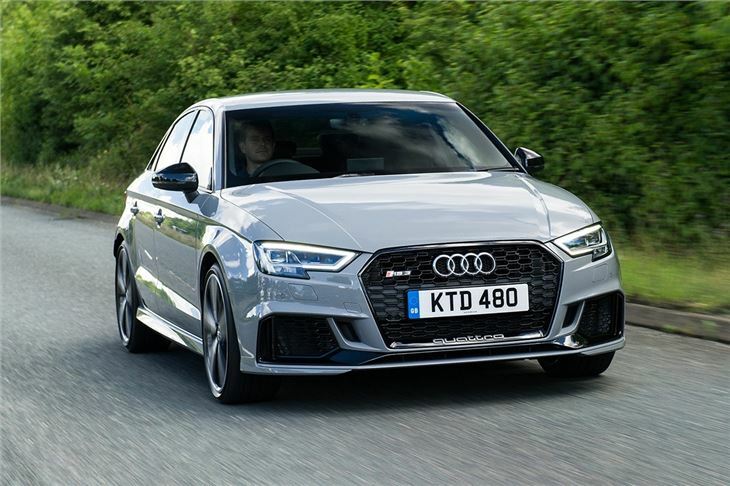 Both the Sportback and saloon have the same 2.5-litre engine and S tronic transmission, take the same 4.1 seconds to get from 0-62mph and have the same limited 155mph top speed. 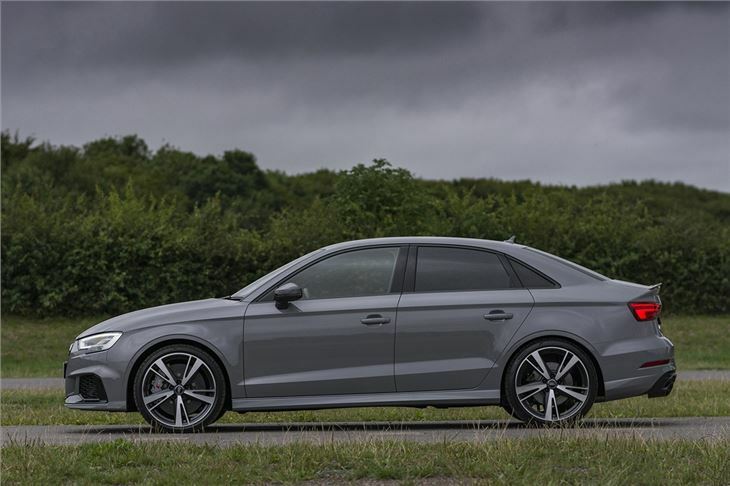 On the road, the five-cylinder engine has a broad spread of torque and power, while the quattro all-wheel drive system provides huge traction even on a wet, greasy road – so it’s very easy to cover ground quickly. 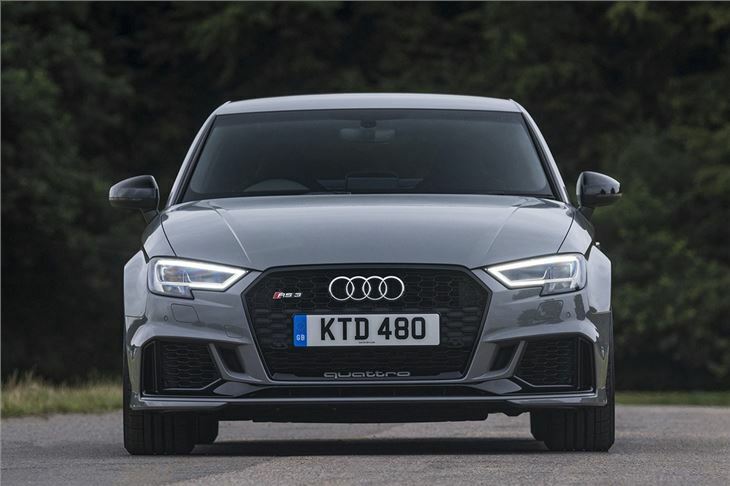 In some previous RS models that superb capability meant the driving experience lacked flair and excitement – but that’s not the case here. In fact, it’s huge fun, whatever the weather - only slightly numb steering lets the driving experience down a little. 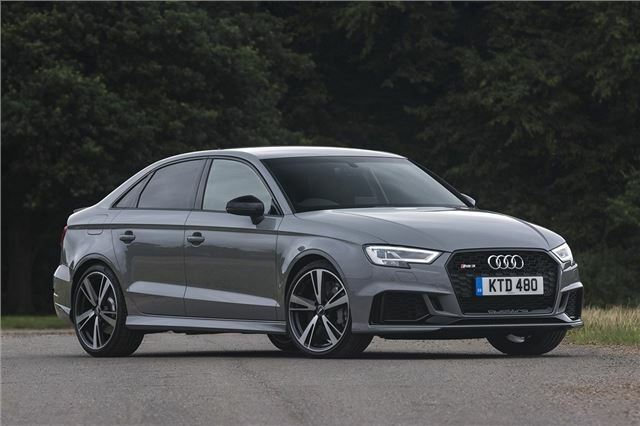 But when you're not in the mood for high performance antics, the RS3 is just as easy to live with as a normal A3, thanks to impressive refinement and a smooth S tronic automatic transmission. It even works in town, thanks to its small size. It’s as practical as any other A3 (or A3 saloon) too, plus it’s as well-made and as plush as you would expect of an Audi, with high quality materials and excellent fit and finish. It’s available with plenty of up-to-date tech too, including full LED headlights and Audi Virtual Cockpit as standard, along with Apple CarPlay and Android Auto. If you’re not too bothered about plush interior plastics or winning in a game of peak power Top Trumps, the Ford Focus RS provides similar all-wheel drive fun and excellent performance for significantly less money - albeit with 'just' 300PS. 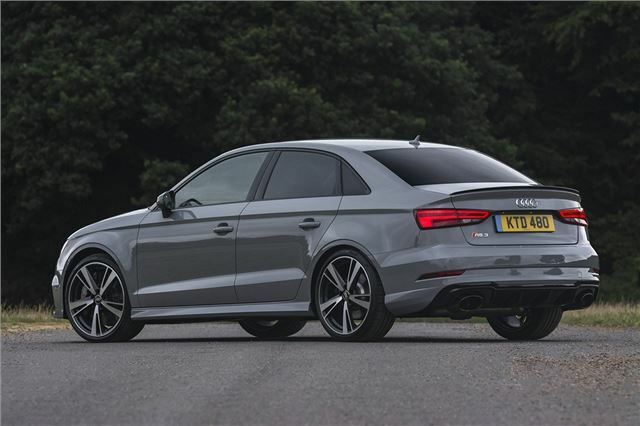 But that glorious five-cylinder engine and typical Audi premium feel mean the RS3 holds plenty of appeal. If you have the money.